We hope you were able to join us, either in person or on-line this Sunday. The Praise Team passionately worshiped and lifted up the name of Jesus, welcoming His Holy presence, and His Spirit was felt mightily in the room! In his opening prayer, Pastor Jason thanked God for His Holy Spirit filling up the room. He asked God to let his words be anointed by His Holy Spirit, and that we humbly submit to revelation that is life changing. He asked that we not be close-minded but that we let God’s revelation of truth speak to our hearts today, in Jesus name…Amen”. Get your priorities straight – Glorify the Lord! God’s number one priority is not the salvation of mankind, it is the Glory of God! Everything happening in Heaven today is glorifying God! Heaven is not upset, and the throne is not shaken or caught off guard! Heaven is not in a struggle like we are here on earth! God knows everything that is happening and what is going to happen before it happens! The Heavenly Kingdom is exactly opposite of the earthly kingdom! In the Heavenly Kingdom if you want to be great, you have to be last and learn how to humble yourself and learn how to serve. When Jesus taught the sermon on the mount, the disciples were not yet disciples, but followers of a good teacher. They were a minority, a Jewish people ruled by a dictator that ruled the Roman Empire. They believed they had no power, influence or impact in the world they lived in because they were subjects of an empire, and earthly kingdom and dominated by the culture they lived in. Jesus revealed to them something they had never heard before! He told them they belonged to another Kingdom – the Kingdom of Heaven! The Kingdom of Heaven is not an earthly kingdom. There is no address and you cannot find it by a map or compass! The Kingdom of Heaven is something you find by the location of your heart by getting revelation of truth that invades your life and a Kingdom reality that invades who you are! He knows what you are thinking before you think it! He knows the intent behind the motive that you have when you are motivated to do something good or bad! God knows you better than you know yourself! God knows when you do good things for the wrong reason! God knows when you are being phony, and He knows when you are being real! The person sitting beside you doesn’t know your heart. The problem is, it is easy to pretend to be something we are not! On the outside, we can project an image of someone totally submitted to God, walking a great walk with Him for all to see, but on the inside, we can be miserable and lost! Only God can see and knows the truth because He looks at our heart! We need His salvation! Our salvation cannot be earned by our works – Salvation comes by God’s grace! It is a free gift of God! There is nothing we need to do, nothing we can do, to earn God’s salvation, grace, mercy. Don’t allow mixture in your life! When you allow mixture in your life, you dilute your ability to influence! If you act like the world, look like the world and live like the world, how are you going to Glorify God before the world? We need to be Salt & Light! If Salt loses its flavor, it’s good for nothing! Many saved people believe that as long as they are saved, it doesn’t matter how they live their lives because God loves them and God understands! If you believe this then you may go to heaven when you die, but you are going to live in hell until you get there, cycling in and out of depression, addiction and affliction all of your life! We have got to get the hell out of us! Once the spirit of God is living inside of us, we can no longer continue living in our sinful ways! We Glorify God by living a life that is pleasing and acceptable to Him! When people see the “right way” we act and how we live, it will be a witness to God’s goodness and it Glorifies Him! When people see the light of God shining through by the way you live, they will want to know what it is that is so different about you, and how is it that you still remain peaceful in the midst of turmoil, while anyone else in your situation would have a meltdown. Be a witness to the lost in the world by Glorifying God in every situation! The battle you face is not for today but is preparing you for your future! Don’t dwell on the past – IT’S GONE! … but learn from it! Chart a course for your future based on what you’ve learned from your past experiences. God does not want you to die on the threshold of your promise! God is preparing you for your next…for a new opportunity, for a larger world from which you came! The question is…Will this world influence you…or will you influence the world you live in? We must learn how to influence the culture – or it will influence us! Don’t let the atmosphere surrounding your life dictate the circumstances of your life. Don’t be moved by what you see, feel or how someone else treated you wrong or made you feel. Don’t be a Victim! Renew your mind! Rule your environment! Be a Victor and live a victorious life in Christ! 13 “You are the salt of the earth. But if the salt loses its saltiness, how can it be made salty again? It is no longer good for anything, except to be thrown out and trampled underfoot.14 “You are the light of the world. A town built on a hill cannot be hidden. 15 Neither do people light a lamp and put it under a bowl. Instead they put it on its stand, and it gives light to everyone in the house. 16 In the same way, let your light shine before others, that they may see your good deeds and glorify your Father in heaven. Moment Of Truth with Pastor JT Baumgardner! Who’s influencing Who? 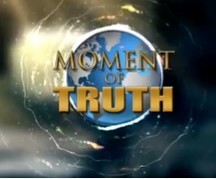 Take a minute and check out this Moment of Truth. Join us on Sunday morning’s at 10 a.m. as we gather together for praise & worship, and an encouraging, relevant word from our pastor. Intercession is prayer that pleads with God for your needs and the needs of others. Come usher in God’s will before service. Take a 6 week long journey into Truth Church, where you will discover our vision & mission, your giftings & calling, and how you can become a part of the Master’s plan for this house. Sign up at our “Get Connected” table! Every 1st Wednesday of the month is the Truth Church Power Gathering at 7:00pm. 2nd and 4th Wednesday’ s we host Connect Groups where you may enjoy a relaxed small group bible study, food, music, & fellowship. 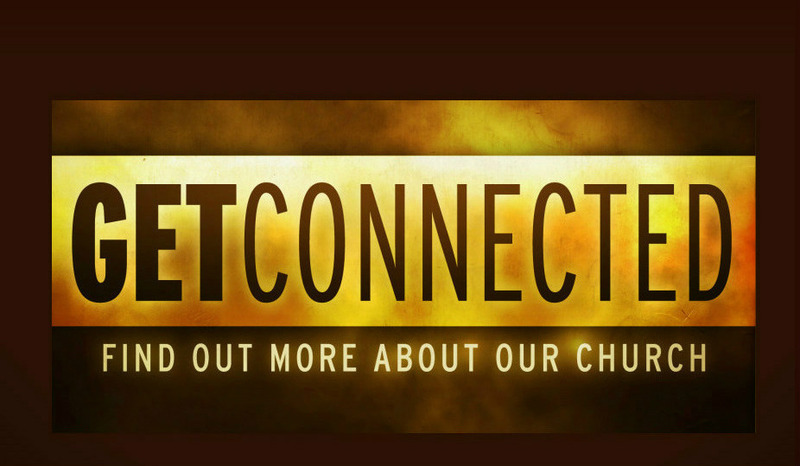 Please let us know where you live and we will try to link you up with a Connect Group near your home. WOMEN’S GROUP – “212 Women’s Ministry” every 2nd Monday at 7 p.m.! MEN’S GROUP – (Canceled this month) “Men of Truth” 3rd Monday. at 7 p.m.! Our Facebook Live Stream – Facebook/Truth Church streaming during services. Visit our Facebook page to watch live! The gifts we have received are not ours alone. If you would like to give $50. 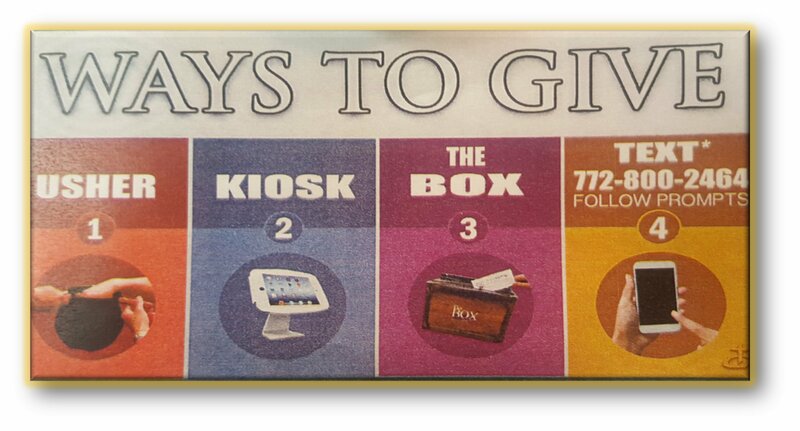 Follow the same steps for any amount you would like to give! Follow prompts to enter your account info and a receipt should immediately be sent to your email! It’s Super Easy! Prayer: Lord, I give thanks to You for this day, in which my dream will flourish, my plans will succeed, my destiny will be assured, and the desire of my heart will be granted in Jesus’ name. Amen. Copyright © 2018 Truth Church of Fort Pierce, All rights reserved.